No matter what you’re in the market for, we have a loan to fit your personal financial needs. We offer both secured and unsecured consumer loans. Be sure to ask about our credit pre-qualification before shopping around. 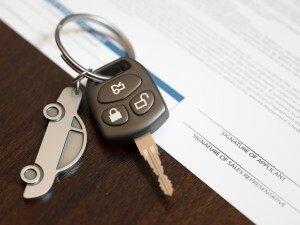 If you are purchasing a new or used vehicle, need to refinance your current vehicle for a lower rate and payment, want to purchase the vehicle that your lease is expiring or you would like to use the equity you have built into your vehicle to manage debt, we have the right loan program for you. With competitive rates and terms, First Federal can put you in the driver’s seat today! Want to feel the wind in your hair? We can finance that new or used motorcycle in your future or refinance your current loan. Choose a payment that will fit your budget. Is the water calling your name? With great rates, we can finance the purchase of a new or used boat or refinance your boat loan with our competitive rates and terms. Looking to spend more time as a family? What better way than with a new or used RV financed with low monthly payments. We can refinance your existing loan with our low rates to save more money for those family trips. A Personal Loan from First Federal can help fund those planned and unplanned expenses such as auto repairs, medical bills or a vacation. A Deposit Secured loan is a loan that is secured by a deposit account. Monthly payments are made to pay yourself back while you continue to earn interest on your deposit account. This loan may assist with building or re-establishing credit but is not guaranteed to do so.